Below is a presentation compiled by Rock Health on the state of Digital health funding through the middle of 2015. 330 distinct investors funded digital health companies, including 108 that have funded a digital health company for the first time. 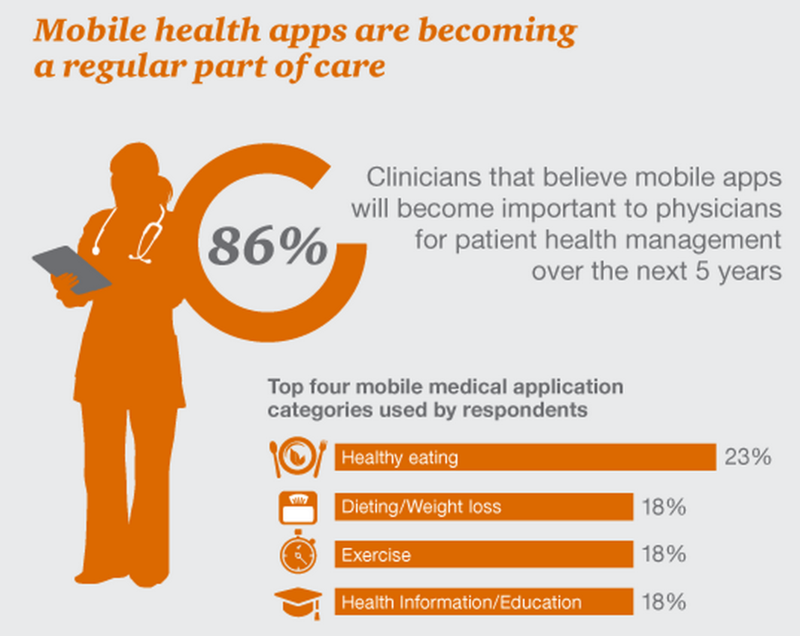 Regardless of the steep competition, and rather bleak outlook in mobile app development for connected devices, clinicians and allied health workers are optimistic about the role of these mobile health apps. Analytics and big data aggregation, together with addressing the ever-present HIPAA compliance and privacy/security issues will be the propellant of this market. More than 60% of respondents of another poll on privacy were more concerned about data security in 2014 than ever before.